Prof. Dr Pan Decker has spent over 15 years as Senior Physician of the Surgical Clinic 1 at the Klinikum Mutterhaus der Borromäerinnen in Trier. His clinical foci are minimally invasive procedures in the thoracic and abdominal areas as well as on the thyroid gland, proctology, tumour surgery and chronic-inflammatory bowel diseases. He has had around 25 years experience as a specialist surgeon. In addition, the specialist in abdominal surgery is an adjunct professor at the Medical Faculty of the University of Bonn. As a trainer, Prof. Decker has several training authorizations in the specialist field of surgery. He is involved as an active member in various specialist associations, also in the Professional Association of German Surgeons, in the German Abdominal Surgery Association and in various surgical working groups. In addition, Prof. Decker is also a member of several surgical Audit Committees of the Regional Chamber of Physicians in Trier. The Surgical Clinic 1 at the Klinikum Mutterhaus offers a wide range of services. The surgical specialists here conduct every procedure in the general-, abdominal-, thoracic- and accident surgery areas. An emergency team is on 24h standby to treat any cases, always enabling patients to receive optimum care. One focus of the hospital is minimally invasive surgery, which has a lower risk of complication and allows faster patient recovery while offering the same treatment success. As procedures in minimally invasive surgery are performed within the body using cameras without direct visual contact, surgical cuts are considerably smaller. This has the beneficial side effect that fewer scars are left after surgery. Furthermore, the German General and Abdominal Surgery Association certified the Surgical Clinic 1 as a Centre of Excellence for surgical coloproctology. 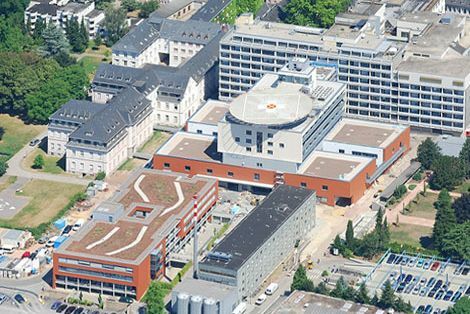 The hospital also participates as a surgical department in the bowel cancer centre of the Klinikum Mutterhaus. This accreditation was awarded by the German Cancer Association back in 2009, which meant that Mutterhaus was the first regional hospital to be certified as a bowel cancer centre. The clinic has also undertaken to participate in bowel cancer quality assurance run by the German Cancer Association. Klinikum Mutterhaus has gained certification in the field of obesity surgery in accordance with DIN EN ISO 9001. 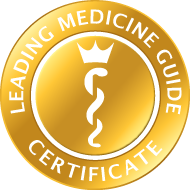 The numerous certifications are synonymous with excellent and transparent treatment quality at Klinikum Mutterhaus der Borromäerinnen. The specialists led by Prof. Decker follow strict guidelines and produce excellent documentation, which makes their work comparable. A requirement for certification is also a high number of treatments, which ensures great expertise.